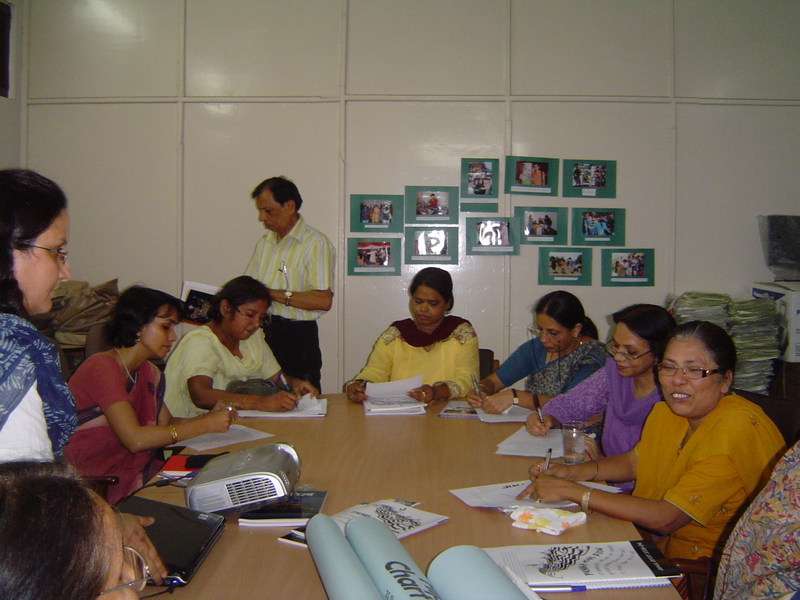 In the pilot of Pravah- NSS (Delhi University) partnership (May to February 2010), Pravah has been able to engage with the NSS programme coordinator (Dr.Lyall), programme officers and student leaders (intensively 15 and extensively 28), who are the torchbearers of the NSS programme. The idea of this partnership has been to bring into NSS (D.U) a deeper learning and leadership building focus. Our efforts have therefore been geared towards facilitating leadership journeys of students through workshops and action projects of each college team so students can apply learnings of the workshops in real world- NSS work. Program officers and Pravah mentors of each college have supported students in making action project an enriching experience for them. A result of this program, student leaders articulated learnings specifically in the area of team work, ability to motivate and lead others, and thinking out of the box. A big revelation for some people was around how to inspire others to join and work for NSS with commitment. 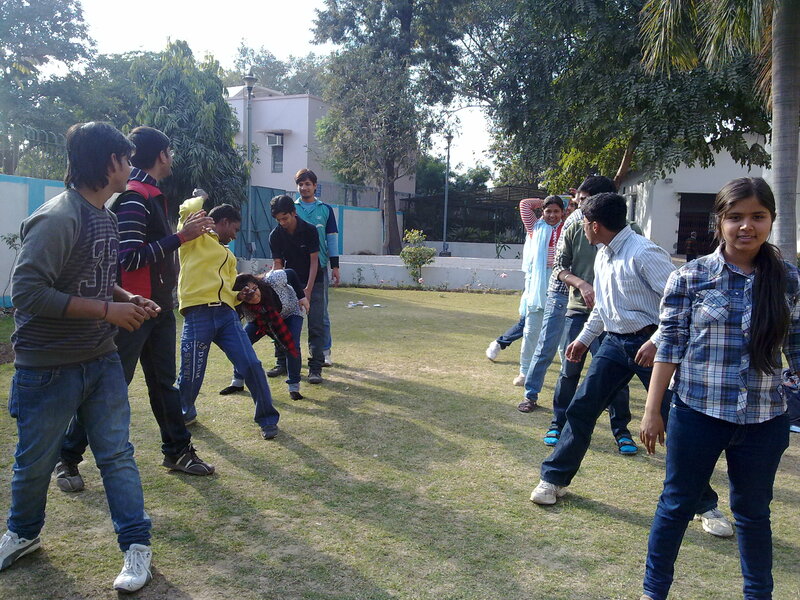 It was the first time that they experienced NSS activities that were ‘fun’, learning oriented and highly engaging. Taking a cue from this, they felt that it was simply a question of offering interesting opportunities that were different from the mundane, in order to excite and inspire more and more students to stay actively involved with NSS. Dr. Vandana (Kirori Mal College, PO) shared that Student leaders have demonstrated better planning, designing and execution of the various NSS activities. In her opinion, this comes from an understanding of themselves as individuals, and the clarity as to ‘why’ they want to do it; they have started to answer these questions for themselves, rather than just doing it. What has also changed is how NSS programmes have been designed, the methodology with games and action, is so much more fun, interesting and provides a great learning experience. Dr. Nadira (Zakir Hussain College, PO) mentions that both workshops where they got any opportunit y to articulate themselves and action project where they managed a large scale event has boosted their confidence. Usually, she or other faculty persons plan NSS events and allocate roles and responsibilities to volunteers; this was the first time students lead the event with minimal outside support. She says ‘in this process; I have learned to involve students intensively and play the role of a guide instead of leading events’. Dr. Basra (Delhi College of Arts and Commerce, PO) opines that workshops that students attended on design gave student leaders clarity on other projects/ activities that they organized in NSS. This partnership, she shared has brought a significant shift in her approach towards student l eader s in NSS. “I feel I can afford to take a back seat and not give my opinion to students but let them decide for themselves what they think and let them decide on their own… it is then that creativity emerges”. To read stories of some student leaders and their action projects click here!